Nothing humbles a jazz guitarist accustomed to playing a solidbody or archtop instrument quite like an acoustic flattop, even if it’s a top-tier Taylor cutaway. 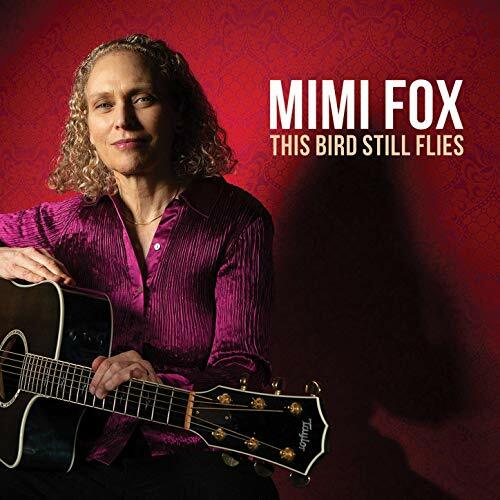 There are, of course, musicians who can switch-hit with deceptive ease—Pat Metheny, for one—and now the same can be said of Mimi Fox with the release of this, her first full-length acoustic outing. It’s a dazzler from start to finish, a resonant mix of pop, jazz, blues, funk, and Americana that reaffirms Fox’s remarkable artistry in a fresh light, thanks in no small part to her skills as a composer, and perhaps even more so as an audacious arranger. Longtime fans won’t be surprised by the virtuosity she often displays while deploying fluid arpeggios or exploiting the Taylor’s robust dynamic range with hammer-ons, pull-offs, palm-muting, hand percussion, chordal propulsion, and crisp, expertly modulated flatpicking excursions. Still, it’s Fox’s inherent musicality that shines brightest. Not just on the familiar tunes—she recalls early salvos of the British pop invasion via wonderfully imaginative arrangements of “Blackbird” and “Day Tripper”—but also throughout a series of evocative, multifaceted original pieces. The repertoire here is broad enough to appeal to fans of both Joe Pass and Michael Hedges, and yet Fox always seems to be following her own demanding muse. The result? A guitarist’s guitar album, no question, and a treat for casual listeners. But a note of caution: For all its delights, don’t be surprised if This Bird Still Flies triggers self-esteem issues among aspiring and accomplished players alike. It’s that remarkable. Check the price of This Bird Still Flies on Amazon!